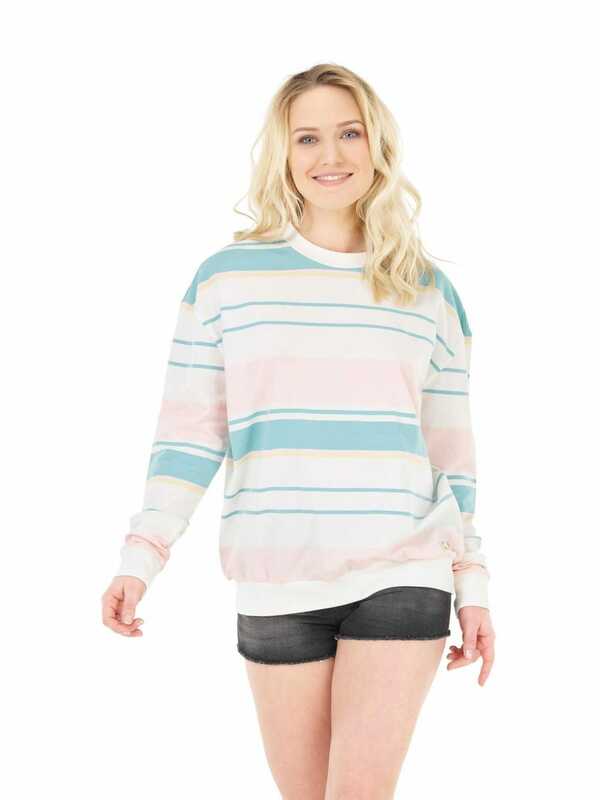 Striped sweatshirt in organic cotton colors. 95% organic cotton GOTS and 5% elastane. Picture produces its collections in factories that are part of the Fair Wear Foundation organization. A foundation that takes practical steps and test new solutions to show that it's possible to make clothes in a fairer way. With other industry influencers, we push towards a new normal - creating change that goes far beyond our reach.